We have veterinary surgeons on-hand who are trained and qualified OVs (Official Veterinarians) which means they are authorised to facilitate the export and travel of your pet. The current rules surrounding pet travel may change after Brexit, but how much will depend on whether we leave the EU with a deal. 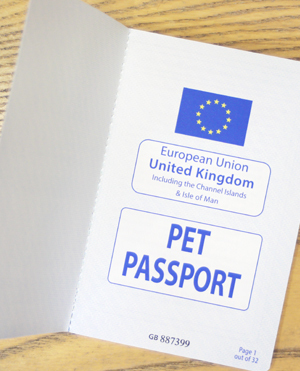 If we leave the EU with a deal, it is possible that pets will be able to travel with a pet passport and very little will change. However, if the UK becomes a part two listed country, pets will require an Animal Health Certificate for travel, which is valid for 10 days from the issue date. Your pet would require a new certificate for each trip to the EU. If we leave the EU without a deal, the UK may be treated as an unlisted country, meaning the current EU pet passport will not be valid and an Animal Health Certificate will be required instead. Dogs, cats and ferrets must be vaccinated against rabies before travelling abroad. If the UK becomes an unlisted country, your pet will need a rabies blood test at least 30 days after vaccination and they will not be able to travel for three months after a successful test. The blood test will only need to be done once if travelling to an EU country and assuming rabies vaccinations are kept up to date. It is best to avoid travelling with your pet until it is known what a final deal will look like. However, if you must travel, it is advisable to get a rabies blood test arranged now. There are also a number of other requirements for travelling with pets, including a microchip and tapeworm treatment one to five days before entering the UK, Ireland, Finland, Norway or Malta. For more information on what you need to do before travelling with your pet, including the possible implications of Brexit, please make an appointment with us. * Negotiations are ongoing, all information correct at the time of writing.